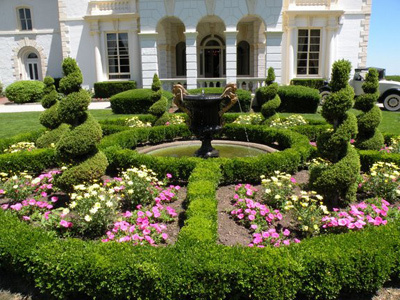 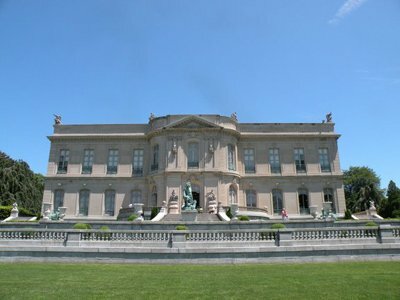 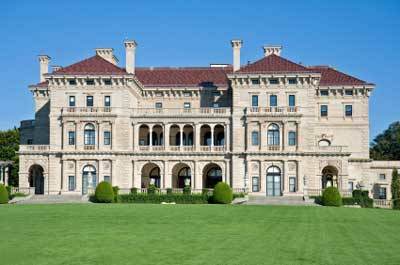 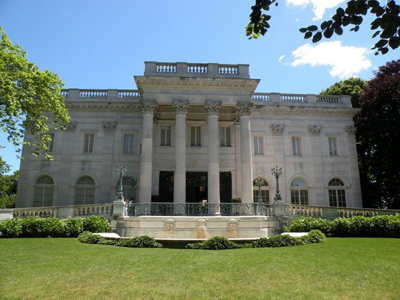 View pictures of the Newport mansions listed below by clicking on each link or just scrolling down the page. 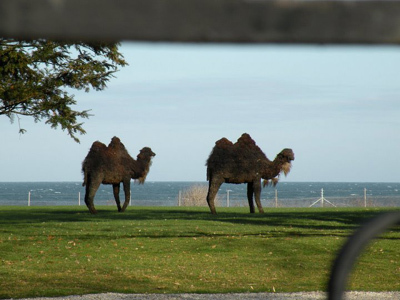 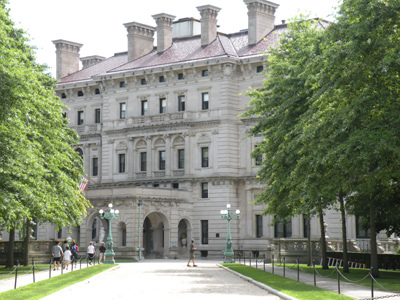 This is the back lawn of The Breakers. 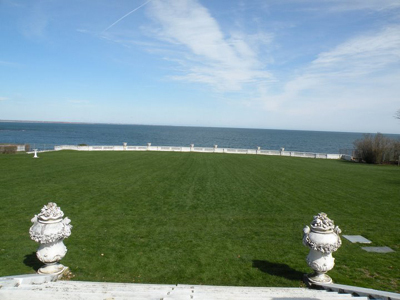 This is my favorite view of this monstrous summer home. 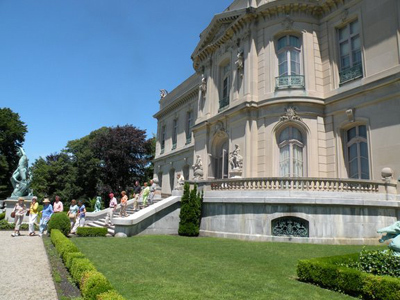 This could be you coming down the steps when you come to town and take some Newport mansion tours. 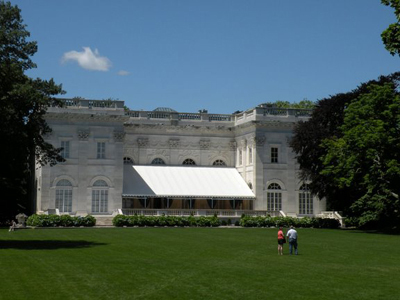 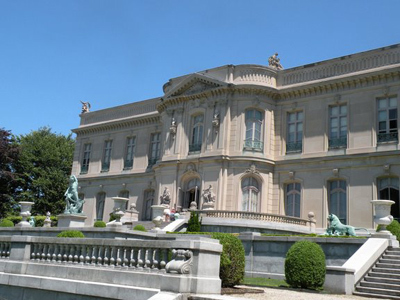 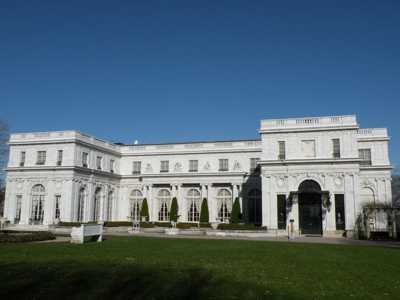 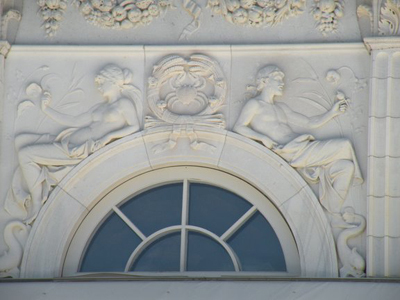 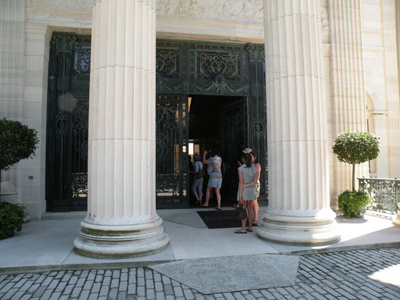 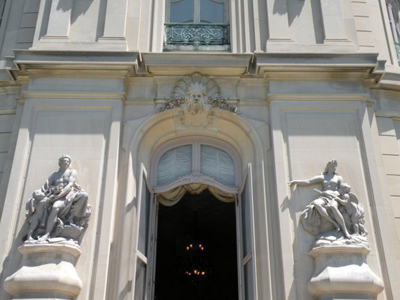 Main entrance of the amazing Marble House, accessible from Bellevue Avenue. 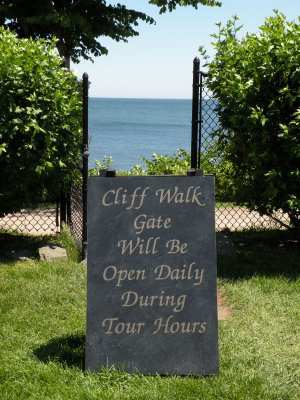 My artistic ability ends with stick figures, so needless to say, I'm always impressed by this type of detailed work. 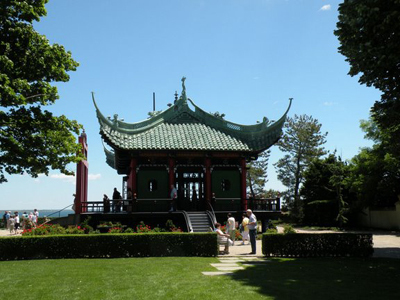 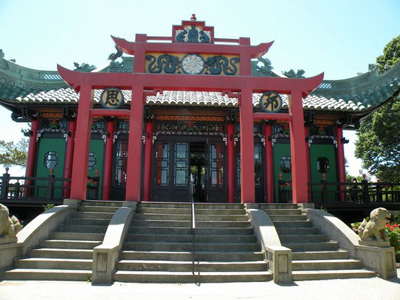 The Tea House started off much closer to the cliffs, but was moved back to this location in 1977. 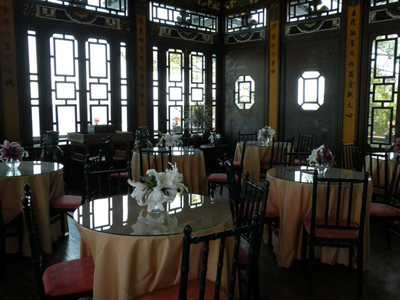 This is another great spot with a great view for a cocktail party or business meeting. 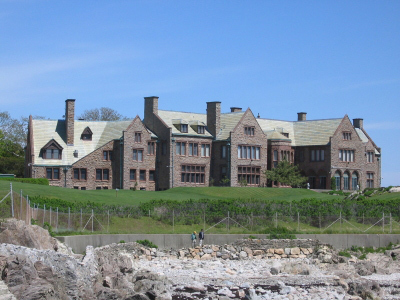 Closeup of the front. 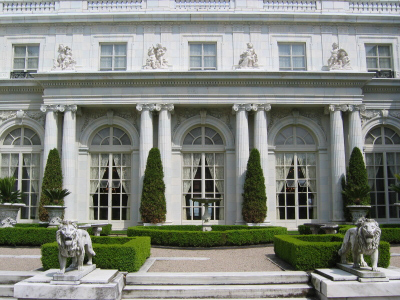 Right inside, in the ballroom, is where Arnold Schwarzenneger and Tia Carrere did the tango the movie True Lies. 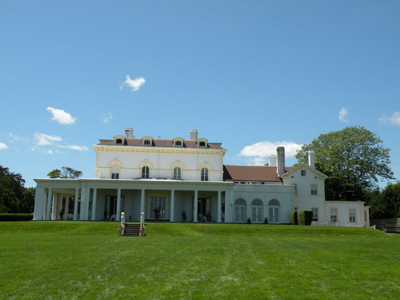 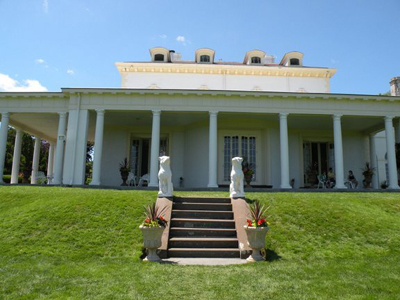 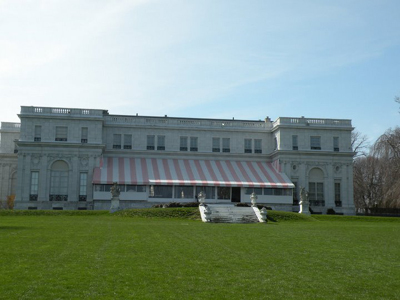 This is the rear of the mansion, where the terrace hosts many wedding receptions and cocktail parties during the summer season. 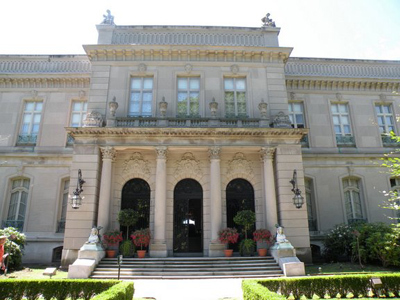 Main entrance of Astors' Beechwood mansion, accessible from Bellevue Avenue. 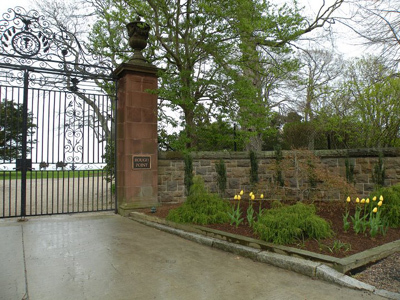 At the end of Bellevue Avenue, you'll find Rough Point, the former home of tobacco heiress Doris Duke. 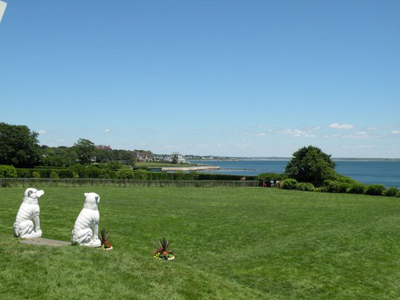 The scene of the crime. 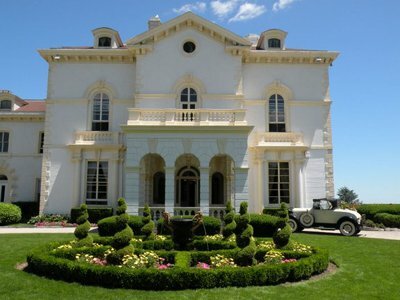 This is where Doris "accidentally" ran over and killed her interior decorator, Eduardo J. Tirella, in 1966. 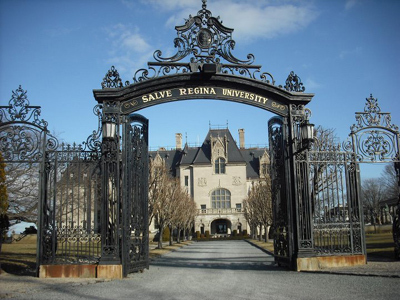 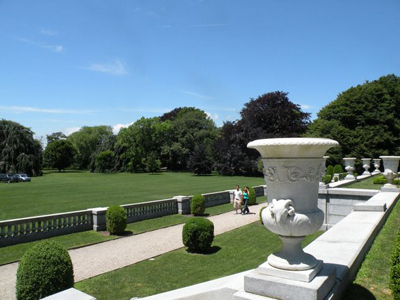 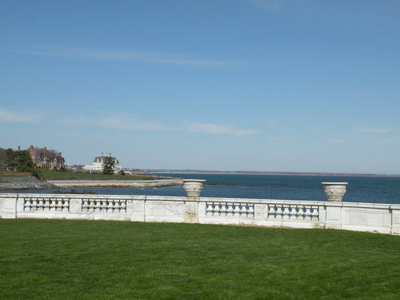 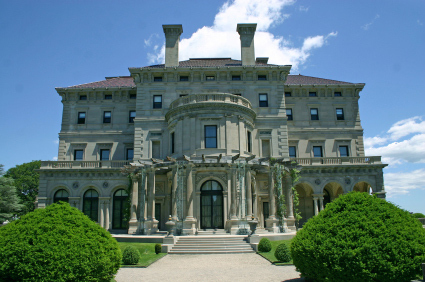 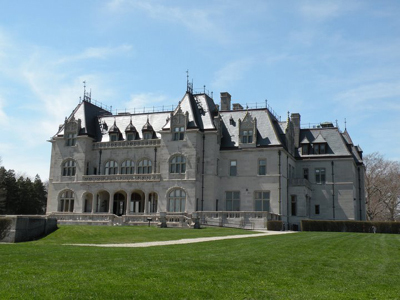 Part of the Salve Regina University campus, Ochre Court is accessible from Ochre Point Avenue.